Closeout. 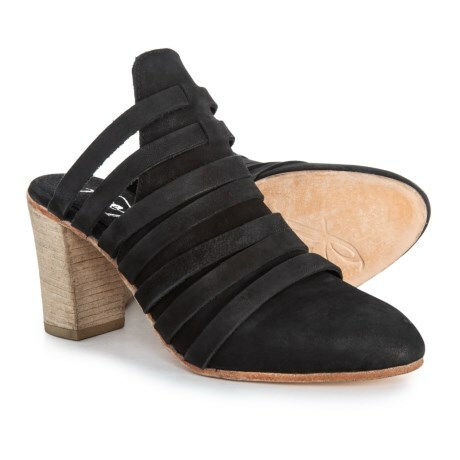 Free Peopleand#39;s Byron mule shoes go great with dresses or jeans, and the strappy leather design and stacked heel provide effortless on-trend style. Available Colors: BLACK, WHITE, TAUPE, DENIM BLUE. Sizes: 36, 37, 38, 39, 40, 41.